"Can we completely repaint this room and change all the lighting... do you have enough parking for six tractor trailers... know any good prop houses nearby?" If you&apos;re considering hosting a film crew at your property, these are just some of the questions you might hear. Film activity is good for business, but, as attendees learned at a recent forum presented by the Westchester County Office of Tourism & Film, it&apos;s best to be fully aware of what you&apos;re signing up for first. The event, On Location: Westchester, held at the Doral Arrowwood Hotel on March 21, featured a panel of film industry experts and brought together more than 50 Westchester County hoteliers and property managers from theaters, historic homes, and museums. Panelists included location managers Ernie Karpeles (commercials), Lauri Pitkus (episodic television), and Rob Striem (major motion pictures), as well as a local business owner who has capitalized on Westchester&apos;s film boom, Andrea Bloome of Alchemy Post Sound. The discussion was moderated by Natasha Caputo, Director of Tourism & Film for Westchester County. Rob Striem is a New York location manager for big name directors like Martin Scorsese and Steven Soderbergh. He also worked to transform a Yonkers street to serve as the location for the Cinemax period dramatic series, "The Knick." For feature films, Mr. Striem advises, "Expect temporary cosmetic changes, expect absurd requests; nothing is beyond our creative possibilities. The best people we deal with have a strong team, a great facility, and good services such as electricity, catering, and a point person on site for us to work with." Although film activity can be profitable, the panelists say properties should be realistic. Productions are not cookie cutter and each has specific needs and budgets. Film productions might require expansive parking lots for numerous tractor-trailers, while commercials require much less space. "Keep in mind that big shows mean big budgets. Small shows will not have the same resources," advised Rob Striem. "That&apos;s when we want to know if we can work stuff out. Like, if it&apos;s off-season, can we get lower fees? Be realistic about size and scope, and be flexible!" The panelists say they are a collegial bunch, and that information is often shared. This is a benefit when things go smoothly, but can be a drawback when they don&apos;t. If a property or municipality doesn&apos;t deliver, word gets around fast. The panelists agreed that properties should know if their municipality is encouraging filming, and if not, work to convey its importance to the town&apos;s economy. "Nothing is more exciting than putting a business on the map because one of our shows filmed there," says Lauri Pitkus. They recommend being proactive to reap the economic benefits. "Whether someone has seen our show or not, all it takes is for someone to post a celebrity pic at a local business on social media. It helps drive business." To help properties understand their municipality&apos;s interest in film activity, and its permitting fees and processes, the Tourism & Film Office has created a Guide to Municipalities. 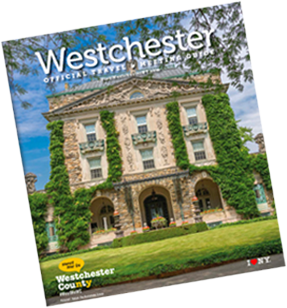 The guide is currently being updated but is available on the Westchester County&apos;s Tourism & Film Office website. 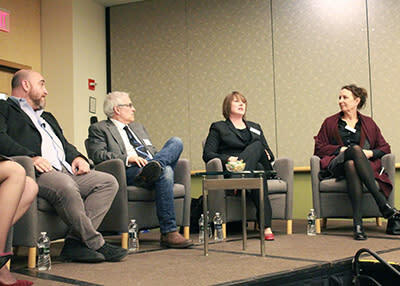 For properties that want to reap the financial benefits of increased film activity, the panelists offered a wide range of "film-friendly" tactics. Andrea Bloome, partner/COO of independent Foley studio Alchemy Post Sound in Westchester, recommends identifying other resources and vendors in your area—like prop houses, production services that offer ADR (automatic dialogue replacement), and camera rental stores. "There are many businesses in Westchester that help facilitate production. Being knowledgeable and providing this information to the crews is a great way to set yourself apart and grow your business," she recommends. Host a meet and greet: this is a great way for scouts to see your location and network with you and each other. Have a film-friendly website: add a "how to film here" tab or a "film inquiries" form. Post location information, photos, rates, rooms, etc. Post an availabilities calendar that is updated frequently. Video tour: properties can offer a virtual tour online, or create a promotional DVD. Think out of the box: unusual, "funky" spaces may get overlooked but are often in demand. Identify these spaces—like a cool commercial kitchen or a creepy boiler room with pipes and tunnels—and promote that to the industry. Be on the radar: Westchester County&apos;s Tourism & Film Office promotes locations on its Facebook page and Flickr account. Properties were encouraged to send information and photos to the Film office for inclusion. "Our goal is to continue to bring the county&apos;s locations to the attention of the film industry," says Natasha Caputo. "This first forum was a great success. Attendees learned more about film productions, and they got to know location managers who are extremely influential in bringing film activity to Westchester."